Mac Childerhose (Edward MacCabe) was born on December 2, 1922 in the small town of Shawville, Quebec, and was always proud of his Ottawa Valley roots. He was an only child and was raised by his maternal grandparents. When the family moved to Ottawa, Mac attended Lisgar Collegiate Institute where he played hockey, rugby, and football. Mac turned his attention to further education after he was declared not physically fit for military service in either Canada or the United States. He started playing hockey with the Ottawa Jr. Senators when he finished high school. 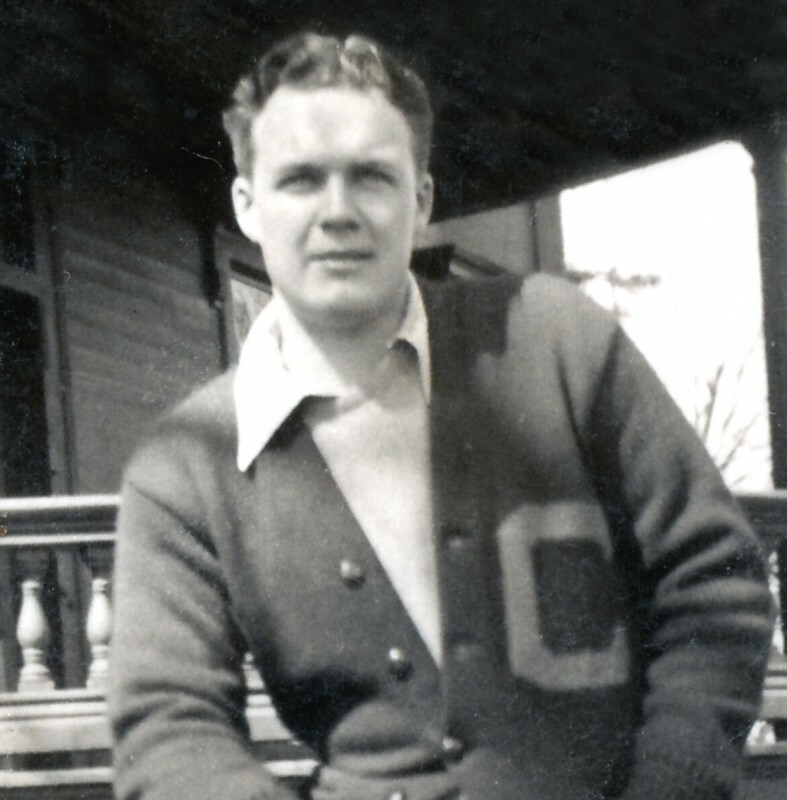 Mac attended Queen’s University from 1940-41 and played hockey there. For financial reasons, he returned to Ottawa where he continued to play for the Senators. It was at this time that he received an opportunity for which he was grateful all his life when coach Jack Roos of Clarkson College recruited him for a hockey scholarship. Clarkson College of Technology, now Clarkson University, is located in Potsdam, New York, just across the St. Lawrence River from Prescott, Ontario. A number of Canadians have studied there with the help of a hockey scholarship – Mac was the 52nd person to do so. Clarkson teams are part of the Eastern College Athletic Conference, Division 1, NCAA. Mac attended Clarkson from 1942 to 1945 and graduated with a degree in Mechanical and Industrial Engineering. His school schedule allowed him to continue playing with the Senators on weekends. After graduation Mac worked for CIL Paints and Varnish in Toronto. He asked for a transfer to the Nobel plant because apartments were more available in this area. In 1947 he married the former Joanne Ludington of Ottawa, and they settled in Parry Sound. After working as an engineer for CIL, Orenda Engines, and the Department of Highways, Mac joined the staff of the Ministry of Transport Marine Agency, now known as the Coast Guard, and served as the District Engineer there until his death in 1976. When Mac came to Parry Sound, he immediately became involved in playing and developing hockey in the town. He was part of a group who helped re-organize hockey in Parry Sound. At that time Parry Sound had been without a rink for almost seven years. The new Memorial Arena was built with much community support in 1948, and Mac was asked to review the plans for the new facility. Doug Orr and Mac became friends while playing softball and working at CIL. 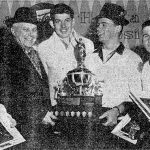 In 1947 they revived the Intermediate team, the Wings, which later became known as the Shamrocks. 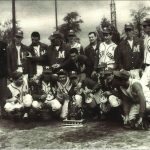 Mac continued to play until1952 when he broke his collarbone during a game in Gravenhurst. Following his retirement from active playing, Mac was one of the mainstays of minor hockey. His tenure with minor hockey stretched from 1947 to the early 1970s. When the Parry Sound arena was condemned for the 1964-65 season, Mac spearheaded establishing outdoor rinks around the Town including an excellent one at the Department of Transport. 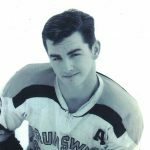 He was also involved in organizing fund-raising charity games that helped further develop hockey in Parry Sound. One of Mac’s major contributions to Parry Sound hockey was his role as a recruiter for Clarkson College, enabling a number of players from the area to go there on hockey scholarships. He had been given the opportunity to attend Clarkson on a scholarship and obtain a well-recognized degree in both Canada and the U.S., and he wanted to show his appreciation by helping others do the same. In correspondence with players and coaches, Mac said he was looking for players who could combine both school success and above-average hockey skills. The most important characteristic for him was the ability and desire to go to college. Scholarship recipients needed to want to go to college more than any consideration they might have to make a pro team. For the right fellows, Clarkson was prepared to offer free college tuition fees, and depending on the boy’s financial standing, to help with expenses for books, and board and lodging. Based on correspondence from the time, news clippings, and recollections, Mac helped 10 area players attend Clarkson College on hockey scholarships. In 1959 Donald (Buddy) Gilchrist graduated in Civil Engineering and went on to a career in management consulting and engineering that spanned 50 years. Allan Graham received a degree in Business Administration in 1959, and sat on the Board of Governors while at Clarkson. His career included being the CEO at Polymer Corporation (later Polysar), Canada’s largest chemical company at the time. Jim Matthews, a recent inductee in the Bobby Orr Hall of Fame, was a graduate of Electrical Engineering in 1960. Frank Schmeler, a Business Administration graduate in 1964, was the CEO of Albany Felt, later Albany International, the world’s largest supplier of felts to the paper industry. Don Brown graduated with a degree in Computer Science in 1966. Don later became the head of Communication and Information for Perini Corporation in Massachusetts, one of the largest general contractors in the United States. In 1970 Terry Ainslie graduated with a degree in Business Administration. Terry went on to a 43-year career in recreational vehicles (RVs) that included nine states and Canada. Bob Croot graduated in 1971 with a degree in Management. Bob worked in admissions at Clarkson for 25 years. He is currently the Dean for Admissions & Financial Aid at Cazanovia College in Cazenovia, New York. Greg Holmes graduated in Social Sciences in 1972. Greg taught for 31 years in the Parry Sound area including six years as a principal. Larry Fleetham, a Civil and Environmental Engineering graduate in 1973, is currently the Area Manager for Fowler Construction Inc. Larry’s career also included working in heavy construction from Ontario to the Yukon. The last one that Mac helped go to Clarkson was Mike Ornella who graduated with a degree in Industrial Distribution 1974. During his career in industrial sales, Mike was the Sales Manager for corporate accounts at Albany International. Those words sum up who Mac Childerhose was and why he is such a worthy recipient for induction into the Bobby Orr Hall of Fame as a Builder.